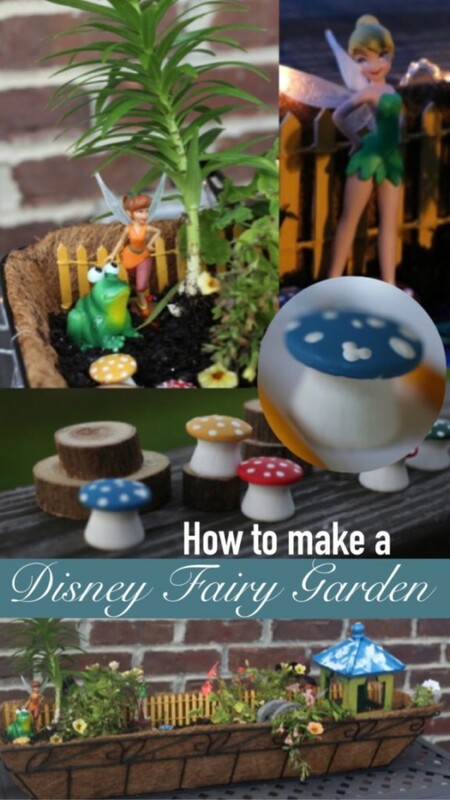 A Disney Fairy Garden is something even I can do to add a little Disney magic to our yard! 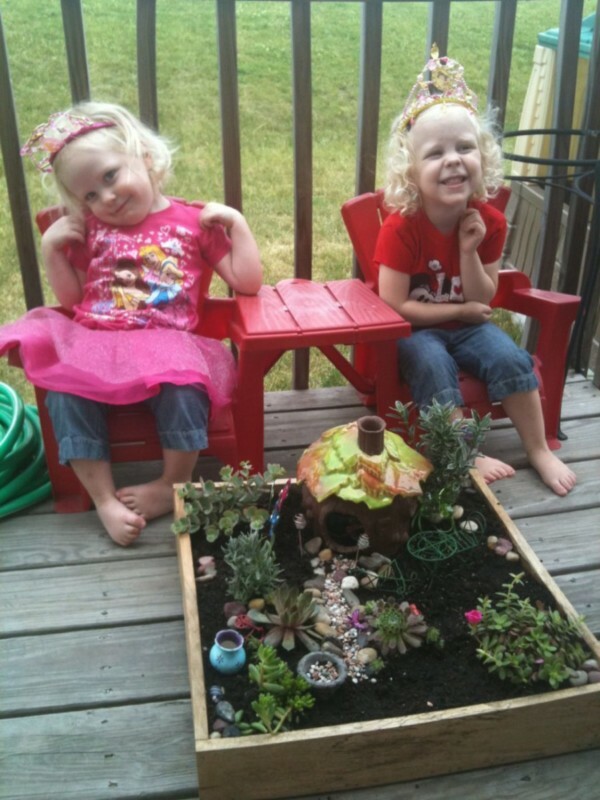 When my daughters turned three, my mother-in-law presented them with the most beautiful gift: a real fairy garden. We had never heard of such a thing – though I’m not sure whether that’s an indication that they were “new” or that we were just out of the loop. Since it has something to do with gardening and yard-type stuff, the latter is very possible. My thumbs are lots of colors sometimes, but they are rarely green! 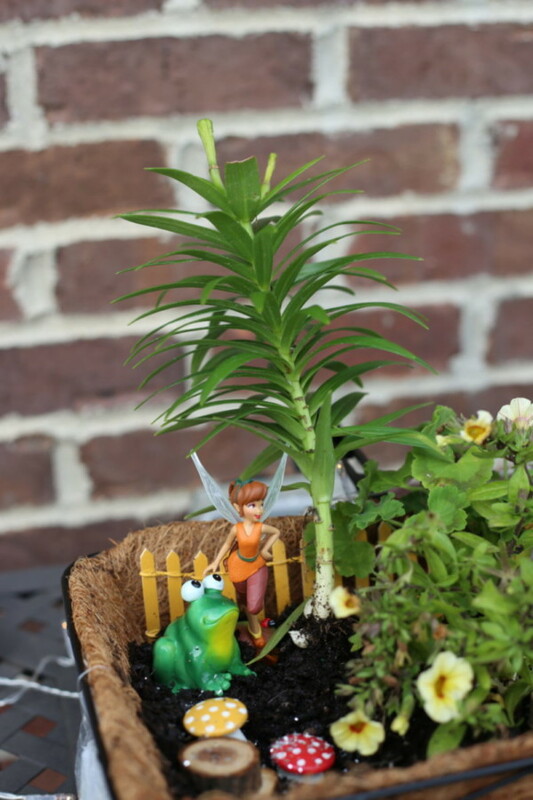 As I was thinking about what kind of Disney-fying we could do to our yard this summer, I immediately thought of a Disney fairy garden. There were so many possibilities. 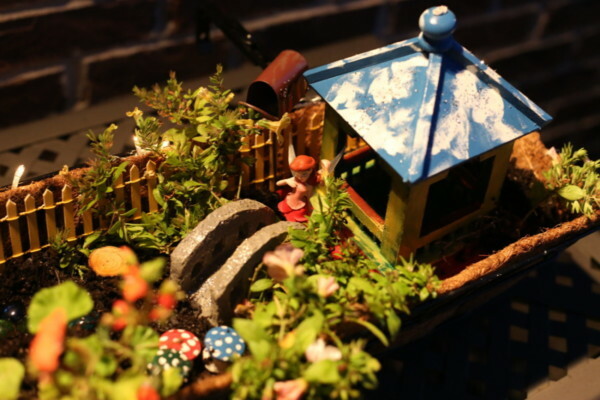 Besides, our fairy garden has been played with solidly for the 5 years we’ve owned it… which means that the pieces have been played with in the yard and the landscaping. The plants definitely didn’t last that long, I’m sure in large part thanks to the aforementioned thumbs. The kids were super excited to help pick out new decorations for the project, though they made certain they could still keep their old pieces, too. It would seem we are starting a fairy neighborhood! No complaint here, it keeps them busy and working together. That’s a summer win in my book. 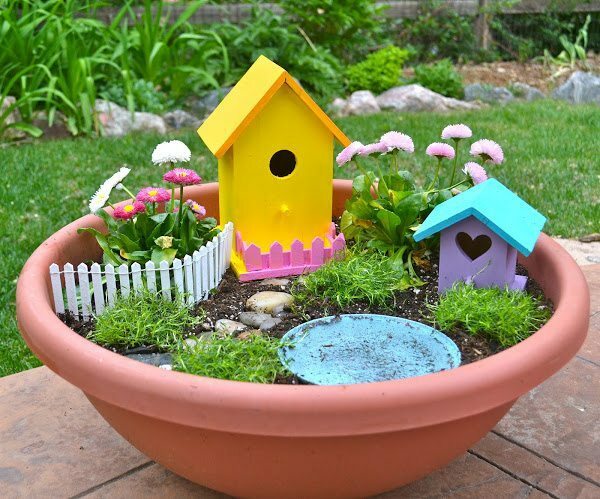 We rounded up our supplies from the nearby stream – and the nearby Michaels – but you can put together your fairy garden in a number of different ways. 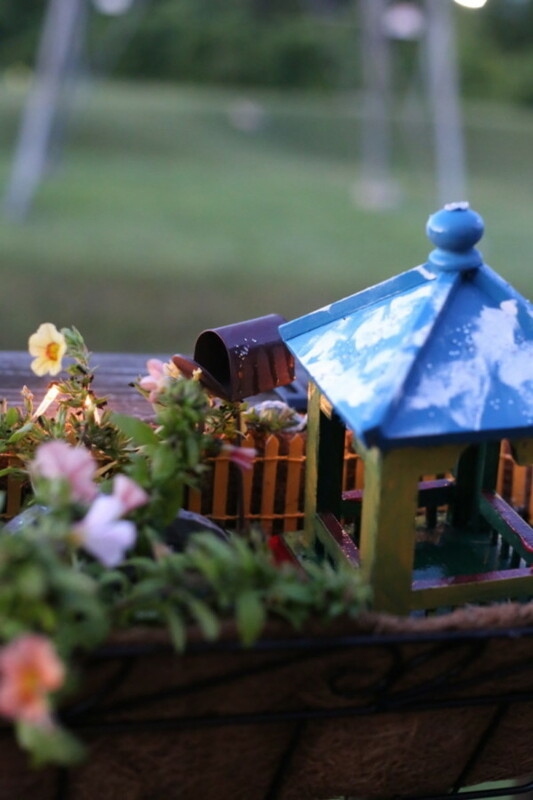 Fairy Gardens are as unique as the individual or family making them – so there really are no rules. My mother-in-law really enjoys finding perfect rocks, plants, etc as she goes about her day; this could be a really special way to collect a shell, rock, or other item from places you visit, perhaps! 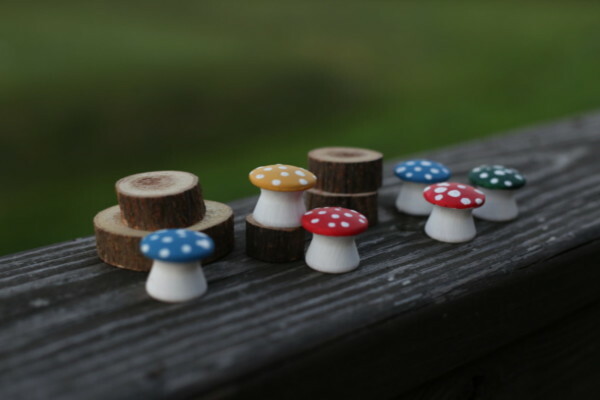 If you prefer to buy something specific, it seems that they’ve become quite a popular hobby – so you can find fairy garden accessories readily available at craft stores, and even many big box stores. Amazon also has lots of really cute, super affordable options. Pick a container: Do you want to use a flower pot? barrel? wooden box? Your space and supplies on hand may limit you, but otherwise there is no limit! 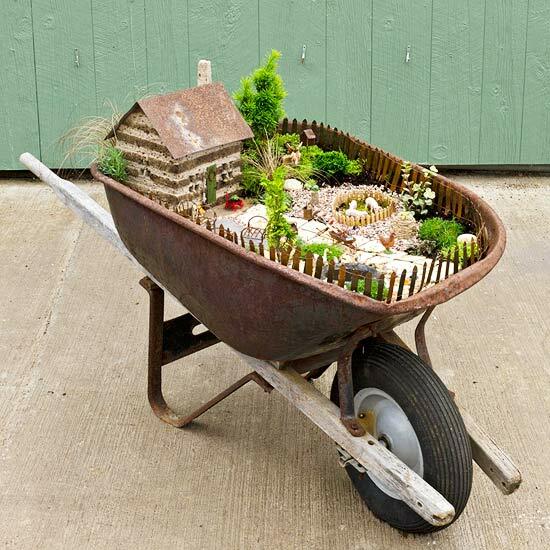 I have seen some adorable fairy gardens in terrariums and some that utilize broken pots. Pick out accessories: Does your fairy need a house (so many options! ), or is this an outdoor play space for her? Is it a beach setting or a forest? Does your fairy have any hobbies? Does she like to play with the animals? 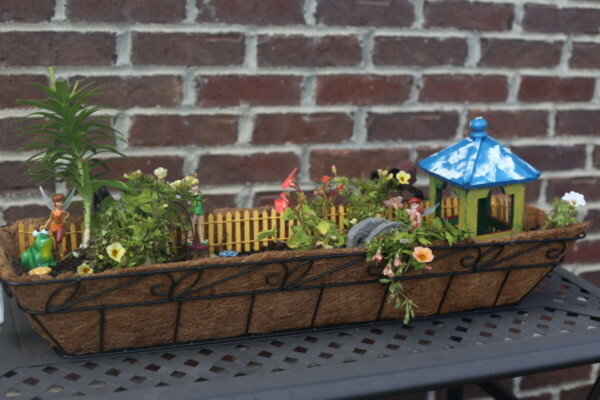 If you’re using real plants, what grows well in the area you plan to place the garden? 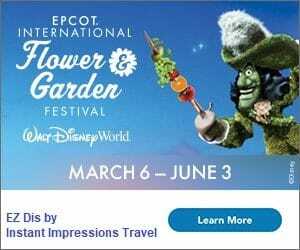 Don’t forget to decide what makes your Disney Fairy Garden, well, Disney! 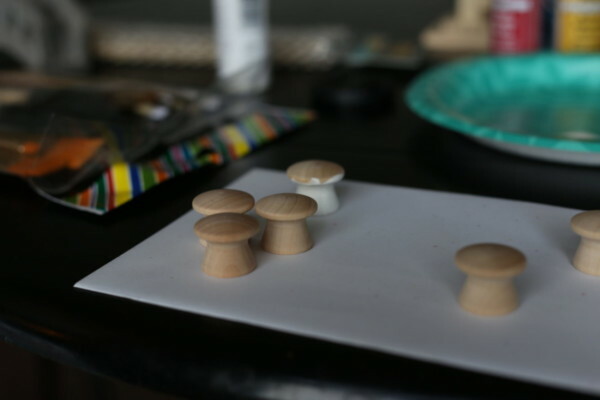 Cabinet/drawer pulls make perfect little toadstools! Map out your plan: Place the items loosely in or near the container, to get an idea how you’d like to arrange everything. This may have been our favorite step! Of course there is also no limit to the number of ways in which these could take on Disney flair. 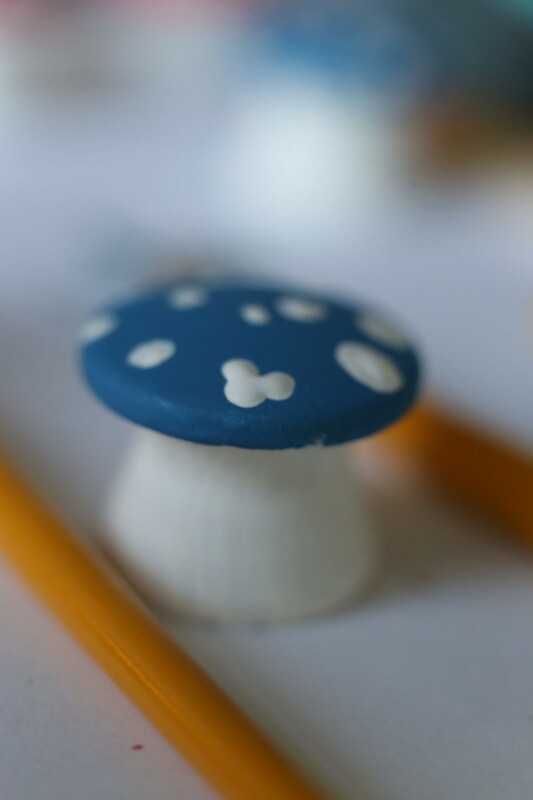 We went a simple route and chose to include some of our favorite Disney Fairies… and a few hidden Mickeys! Really though, you could recreate a theme park land. You could paint and decorate with your favorite movie-inspired color palette. The possibilities are endless! 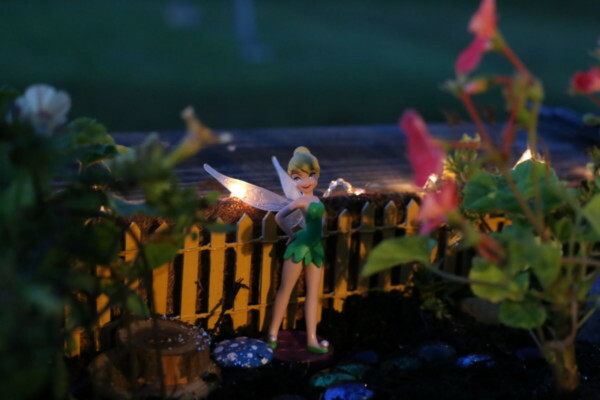 (Battery-operated) Tiny Lights were a fun and easy addition to our Fairy Garden this time! 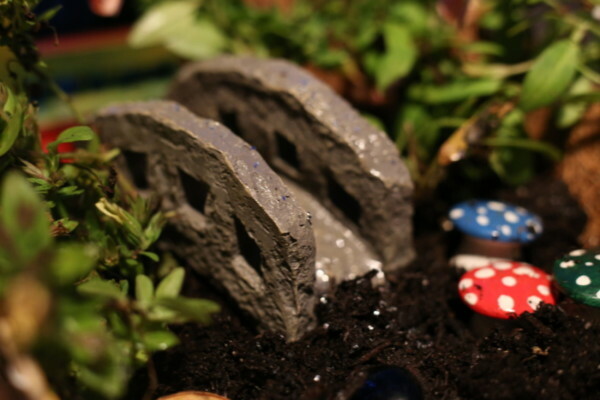 Check out these lovely fairy gardens and more from our most recent creation for inspiration of your own! via Better Homes & Gardens. Great tutorial! 2nd Stop – The Delightful Life | You are Here! Wow! 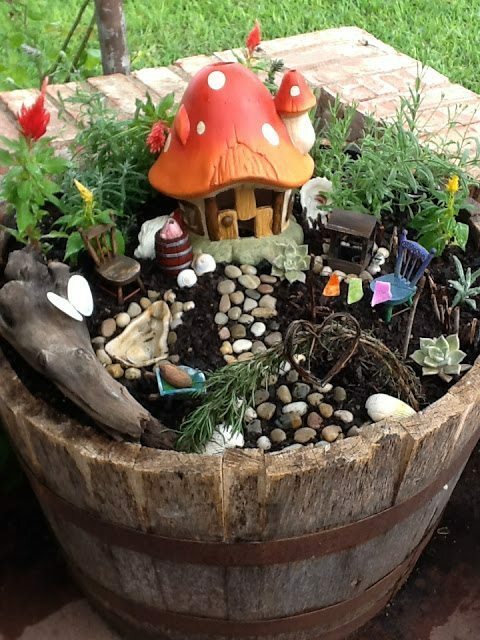 What a great new fairy garden. I LOVE IT! 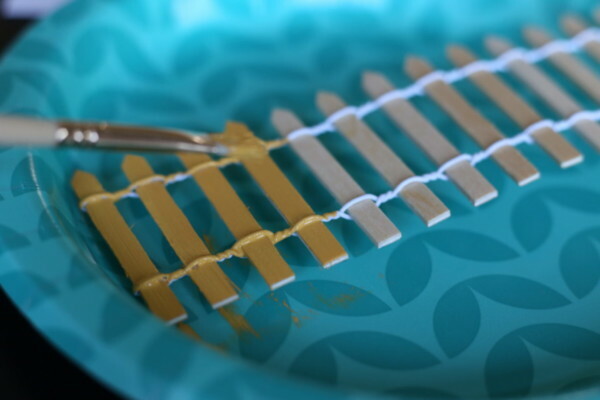 And it’s the perfect project to work on in the summer with the kids. My mom’s best friend recently made one for her. 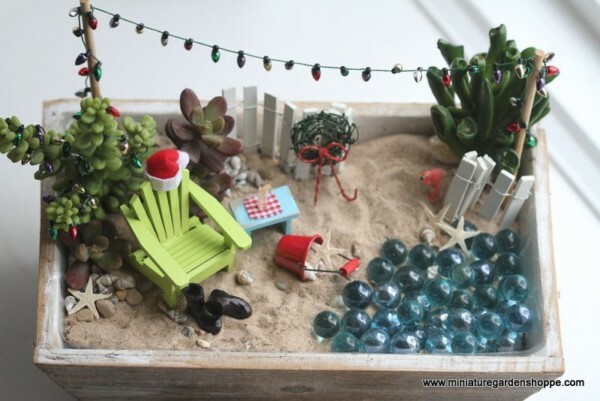 She built all these little objects for it in – so cute and a very special gift. That’s so cool! That’s another fun part about it… you can always add to and change it as you go! I’m sure we’ll be looking for opportunities to add special extras! Great Post! I love how everyday objects can become something completely different just by changing the perspective. It’s very Disney! I love how you put those details like the hidden mickeys into it! LOVE this post! It shows that you and your girls have loved working on this hobby. And the details are just adorable!!!! Can’t say enough good this about this post.